Garage sale scores come in all shapes and sizes. On some Saturdays, my finds consist of "smalls" that can fit in the front seat of my truck. 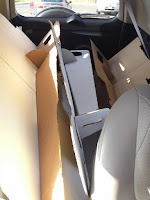 Other Saturdays, my truck looks like I am heading to the town dump with stuff practically falling out my truck bed. Over the last few years, I've leaned towards bigger and bigger garage sale finds, even though they can be a pain to deal with. I think it's the influence of watching History Channel's, American Pickers. Those guys don't even blink an eye when it comes to buying the big stuff. Coke machines, antique cars, huge signs-if they like it-they buy it! But I don't have a warehouse like the American Picker boys. So on those occasions when I bring home something huge, I've got to move it fast! A good example are those humongous Star Wars figures I bought last month. 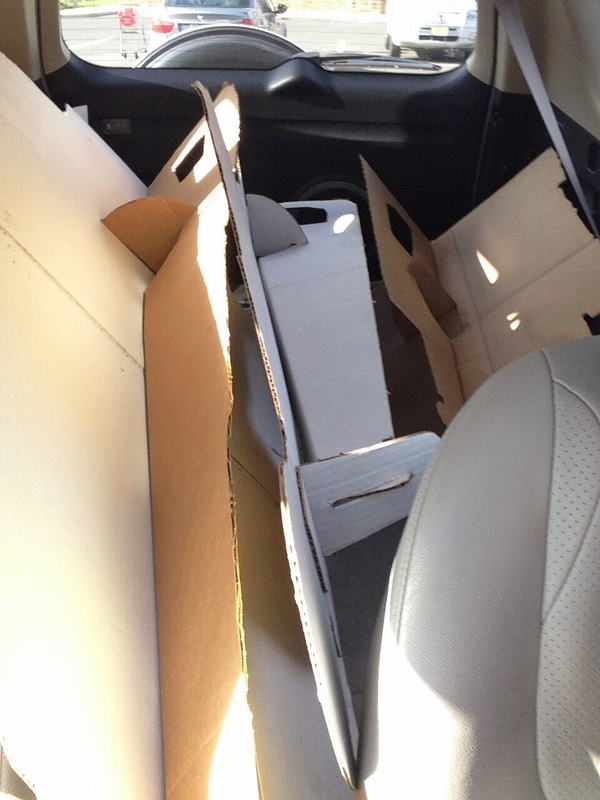 After laying out twenty dollars to the seller, I could barely fit them in the back of Mrs. Dude's car. (My truck was off for the day.) Once home, they sat in the garage and were generally in the way all the time. Sort of like having house guests who refuse to leave! As mentioned in the previous blog, the things scared Mrs. Dude several times when she walked into the garage. Nothing more jarring then turning on the light and seeing Darth Vader staring at you! Fortunately, they didn't hang around too long. Using Craigslist, I sold the Star Wars fab four to a Dad who bought them for his son. He paid me $60 dollars for all four. A nice $40 dollar profit for me, and no more garage surprises for Mrs. Dude! But although I've done pretty well with things that barely fit in the car, I get a bigger kick out of selling the small stuff. When it comes to yard sale finds, good things really do come in small packages! Smalls takes up very little space, both in your car and later on the inventory shelf. When it's time to sell, smalls are much easier to prepare for shipping and the postage is usually inexpensive. Give me a small over a big item any day of the week! To make this point, I've compiled a few examples of some great smalls I've flipped. Cats Eye, Cats Eye..Cat.umm.. oh dang! Here's a perfect example. Just a few weeks ago I bought this little bike odometer in the original package. The women wanted three bucks for it. Truth be told, I didn't buy it right on the spot. Instead, I walked back to my truck and recited the name of the product (Cats Eye) over and over in my head so I wouldn't forget. (The old short term memory ain't what it use to be!) Amazingly, I actually held onto the name just long enough to conduct an eBay price check on my iPhone. I discovered these little gadgets sell for good money on the auction website. Armed with this new info, I jumped back out of the truck and asked the lady if she'd take two bills for the odometer? She agreed, and I went home with what turned out to be a nice little find. A few days later, I sold it for a BIN price of $40 dollars! That's almost as much as I made on the Star War figures, but without the storage hassle! at the garage sales, keep your eye out for vintage firearms guidebooks and manuals. Gun collectors, outdoorsmen and hunters love these old guides and will pay top dollar for them. This particular book cost me a buck. It's an illustrated guide on how to prepare shotgun shells. Like the bike odometer, I sold this book on eBay for $40 dollars! Another awesome "small" find... easy to store and inexpensive to ship using USPS media mail. Better yet, no scaring Mrs. Dude in the garage...love the smalls! Lastly, how much space do you think a keychain takes up? Like hardly no space at all, right? 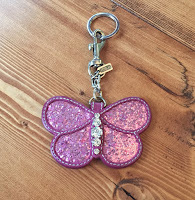 Mrs. Dude had this Coach butterfly keychain hiding in her kitchen junk drawer for over two years. Originally received as a gift from some girlfriends, she used it for a short while, then upgraded to a larger keychain. After going on her Lia Sophia selling binge over the winter, she began tearing the house apart searching for more jewelry to sell! When she did, she found her old Coach keychain stashed away in the kitchen junk drawer. This butterfly keychain turned out to be one of her bestie jewelry flips, netting her $49 dollars. Since it was no bigger then the palm of your hand, the keychain fit into a small padded envelope. Shipping was easy and cheap. Not bad, right? Nearly fifty bucks....a lot of money for something condemned to the kitchen junk drawer. You gotta love smalls! What kind of smalls have you made a ton of dough on? Sing the praises of the "smalls" in the comment section below !